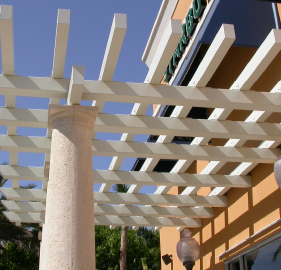 Design your Trellis or Pergola to provide shade and a unique element of visual attraction using Perfection Premium Extruded Aluminum Systems. Our trellis systems are made to order with 100% extruded aluminum components providing lasting beauty with low maintenance. Enhance an entryway or courtyard. Provide shaded outdoor dining areas. Perfection has a trellis system that can solve all your shading and architectural concerns. Need a solution for more room in your Art class? Add a Trellis with a portion of the roof solid to provide a dry work area with natural light while significantly reducing the temperature with shade. Our trellis systems are project specific engineered to withstand the loads mandated by your local building code. Configurations are completely customizable. Email us your idea and we’ll help develop a trellis system that meets your requirements and all the structural standards of your local building department. 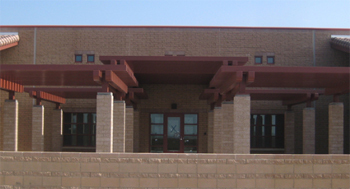 We can customize a design and build a trellis to fit your specific project requirements. Contact a premier design team member to discuss the requirements of your project. 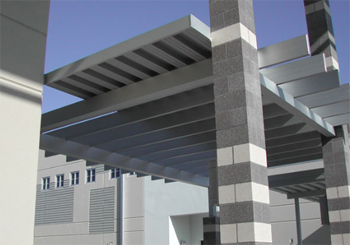 Perfection Trellis Systems are available in standard and custom finishes. 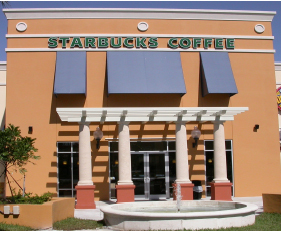 Select your finish based on the project location, finish durability and color selection. Click here to see a list of available finishes for all Perfection Architectural System products.